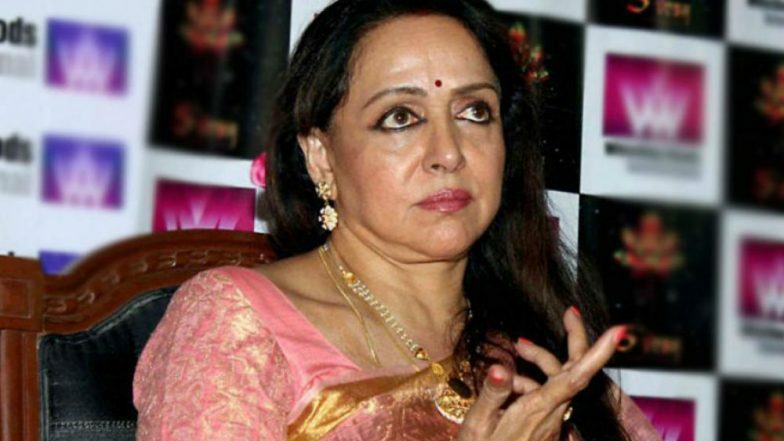 Mathura, April 13: Bharatiya Janata Party (BJP) Member of Parliament from Mathura Hema Malini on Saturday distanced herself from Maneka Gandhi’s statement on Muslims voters. While speaking to news agency ANI, the actor turned politician said that lawmakers should help everybody irrespective of who voted for them. Hema Malini Has A Net Worth of Rs 101 Crore, BJP MP Files Lok Sabha Election 2019 Affidavit From Mathura. Malini also exuded the confidence of winning the Mathura parliamentary constituency again in 2019 Lok Sabha Elections. The actor turned politician said that she had done good work and the people would support her. She stated, “I am very confident of a win because I have done good work, my Government has done good work, so I am sure people will support us. The whole system is changing, and people want development, caste politics now doesn't work.” Hema Malini Forgets Her Contribution to Mathura as BJP MP, Says 'Have Done Lot of Work, But Can't Remember Right Now'; Watch Video. On Friday, Union Women and Child Development Minister and BJP leader Maneka Gandhi sparked a controversy saying that she won't work for the Muslims in Uttar Pradesh's Sultanpur if they don't vote for her in the upcoming polls. In a three-minute video of her speech in Sultanpur's Turabkhani area went viral on social media, Gandhi is heard saying that they should vote for her or else she may not be inclined to their requests. "I have already won this election, now it is for you to decide", she said.